There’s more to the Surfing Capital of the North than the best waves. Inarguably one of the buzziest weekend destinations and the go-to place for a quick getaway, La Union brings to the table the perfect mix of leisure, adventure, great eats, and cheap thrills. And because you get so much for a drive not too far away from the metro, it’s no wonder that La Union has become a top-of-mind destination for a well-deserved (surf) break! While you’ll probably never run out of things to do in this vibrant yet laid-back destination, here’s a list of musts you can’t miss in La Union. 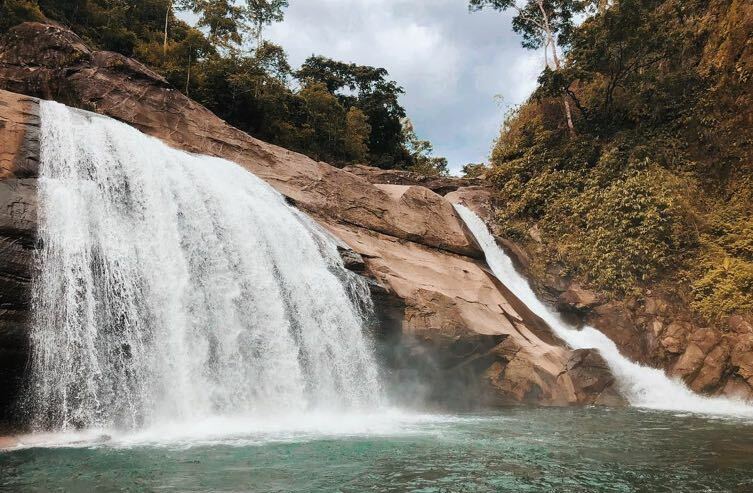 You’re in for quite an adventure on your hike to Tangadan Falls. Trek through a jungle-like trail and traverse the Baroro River to witness one of La Union’s natural wonders. At the end of the hike, enjoy a refreshing dip in the natural pool—it makes for a great reward after your trek to the falls! 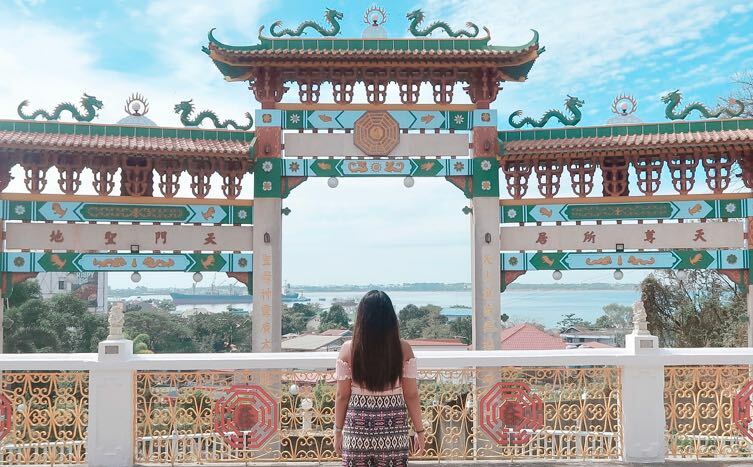 A center of worship for Taoism dedicated to the Sea Goddess, Ma-Cho, the cluster of pagoda-style prayer and meditation rooms rests 70 meters above sea level. Chinese saints carved in stone are lined along the entrance to welcome you to this sacred space. Resembling temples in Taiwan, Ma-Cho Temple is open to Taoists and non-Taoists alike. 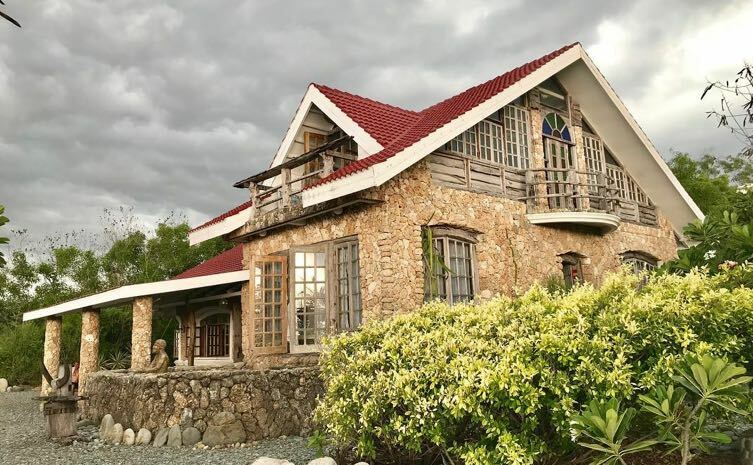 Located in the Pebble Capital of the North in Luna, Bahay na Bato is a fairly new, but well-known attraction in La Union. True to its name, it was made from pebbles and stones found along the beach, where stone-picking has become part of their lifestyle. Bong Kim, whose wooden and pebble sculptures reside within the grounds, trains local artists on stone-carving. 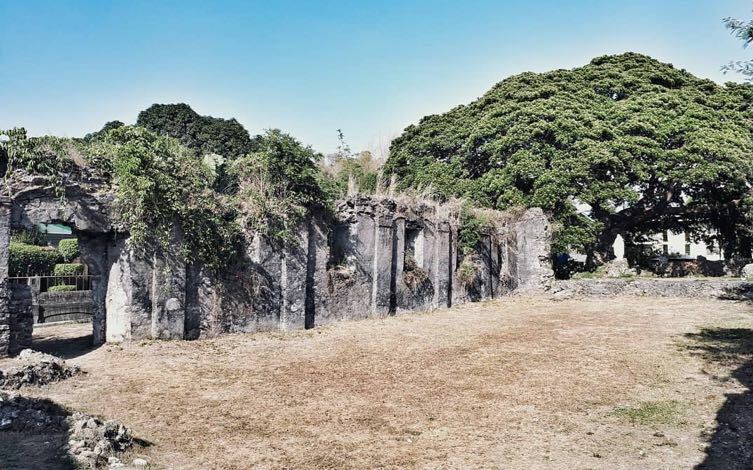 You can find this spot in a place formerly called Pindangan, where a Spanish-built church that has San Guillermo, the Hermit as its patron saint once stood. After it was struck by an earthquake, its then parish priest, Fr. Fernando Rey, decided not to rebuild it because it gets flooded during the rainy season. In what is now called San Fernando are the chapel and the remnants of this church that are believed to be haunted—ghost hunting, anyone? 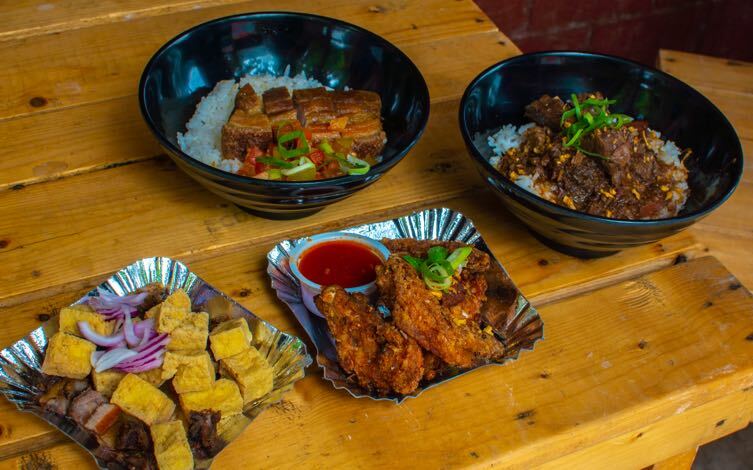 Simple and unassuming, Tagpuan is a no-frills joint that serves Filipino favorites. Whether you’re in need of a quick meal or a post-surf snack, their tasty rice bowls, hearty soups, and pica-pica will surely hit the spot. Try their Beef Pares and Beef Mami to remind you of the warmth of home. Gather all your amigos for a Mexican meal, snack, or post-drinks hang, because any time is great for Mexi-time! 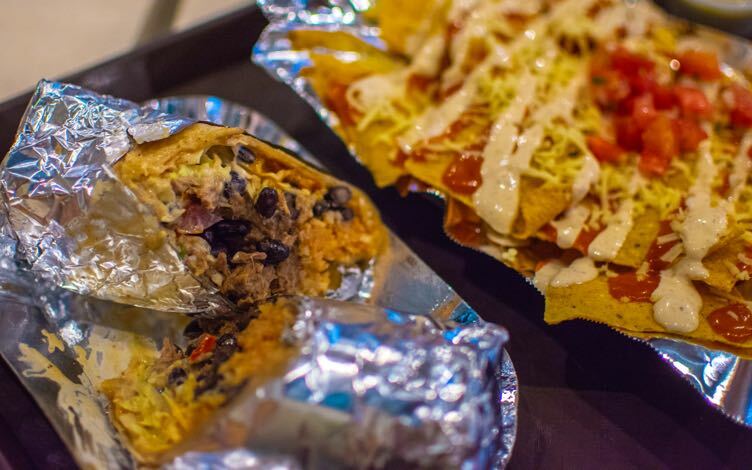 Their bestsellers La Carnitas Burrito and Beef Burrito will send you on a Latina food trip you didn’t even know you needed. A meal at Gefseis is the closest you can get to an authentic Greek experience without hopping on a plane. 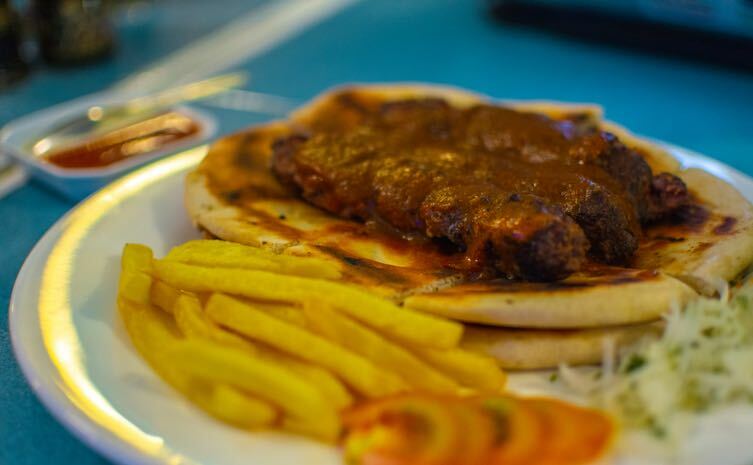 Think a blue and white Santorini-inspired look, chill European music, and their specialties of souvlaki and kebab. Perfect for the health buffs and those simply looking for a refreshing treat, Makai Bowls is your one-stop spot for cold, fruity goodness! 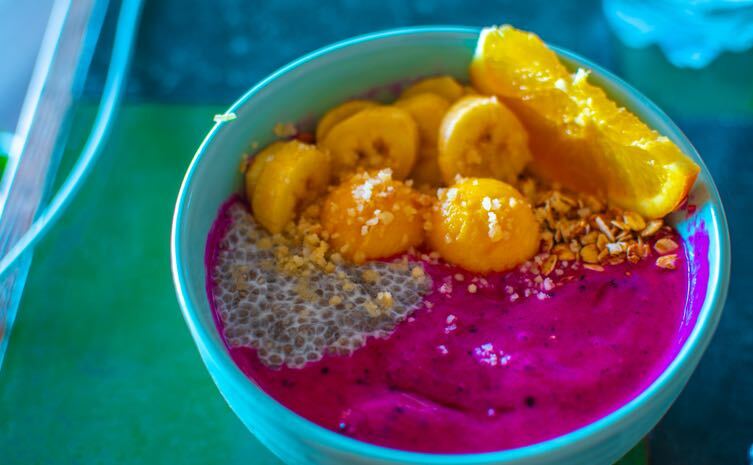 Sip on their fresh pressed juices and fruit shakes, cool off with their popsicles, and dig into their filling chia bowls and smoothie bowls—the Amianan Smoothie Bowl with dragon fruit, mango, papaya, banana, and acai juice is their bestseller! Did you really go to La Union if you didn’t 'gram your drink at El Union? Calling themselves ‘the Philippines most and least serious coffee company,’ they provide a nice and casual ambience for your coffee break and catch-ups with friends. Don’t pass up on trying their famed Horchata or Dirty Horchata, and the heavenly Indoor S'mores. 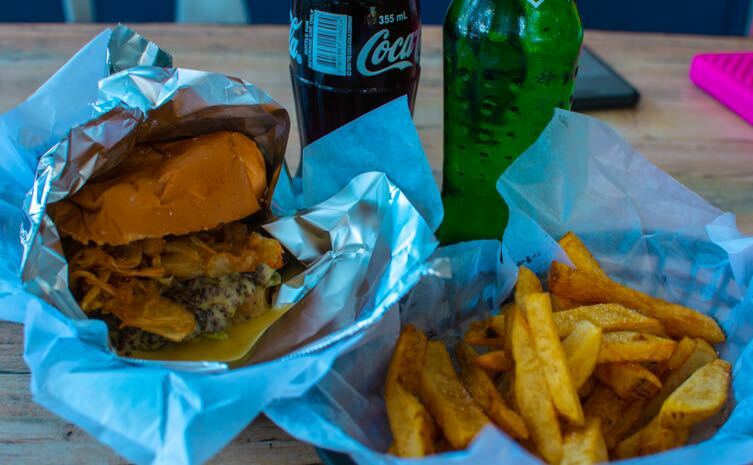 You can never go wrong with a good burger. Currently situated in Magellan’s Restaurant & Lounge, Mad Monkeys is a great contender for the best burgers you’ve ever had in your life. Sink your teeth into juicy 100% beef patties with fresh toppings and a soft, firm bun—so good, they’ll make you go mad! 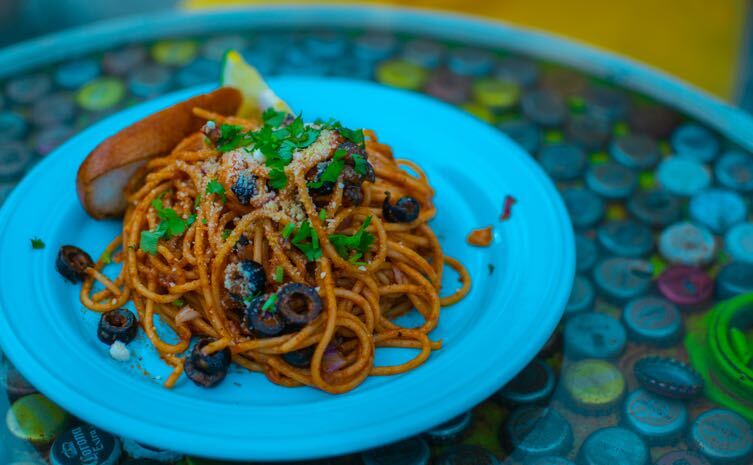 Fuel up or recharge after surfing, meet new friends, chill out with catchy tunes, or simply bum around because Surf Shack is just the place for that. We’re positive that their pizzas and TNT Pasta (taba ng talangka sauce) will give you the energy you need to be out and about! 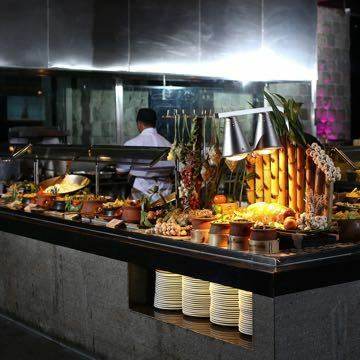 Great for sit-down meals with family and friends, Coast Call in San Juan Surf Resort whips up Pinoy favorites for a satisfyingly homey dining experience. Pair their Special Liempo with Ensalada and Adobo Rice, a simple but delightful combo you won't regret trying. As their saying goes, if you find yourself in the Surfing Capital of the North, “magpasarap ka muna (treat yourself first)!” Indulge in a refreshingly cold glass of La Union’s best halo-halo. 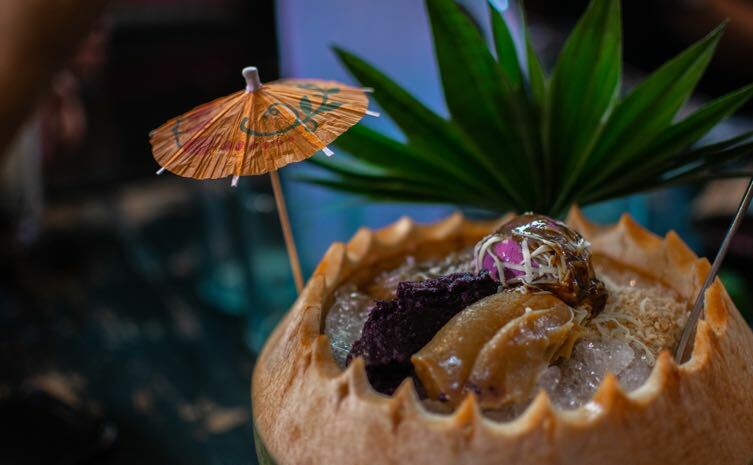 If you’re feeling a little more daring or are in need of a little more chill, dig into their Buko Halo-Halo that’s served inside a fresh coconut shell. They say Jeff Ortega’s infamous 5-Minute Drink is conquerable as long as you consume all of it within the allotted time. The exact ingredients are top-secret, but rumor has it that it’s infused with tequila, vodka, rum, and gin, so you'll have to see for yourself if you’re strong enough to defy the norm. 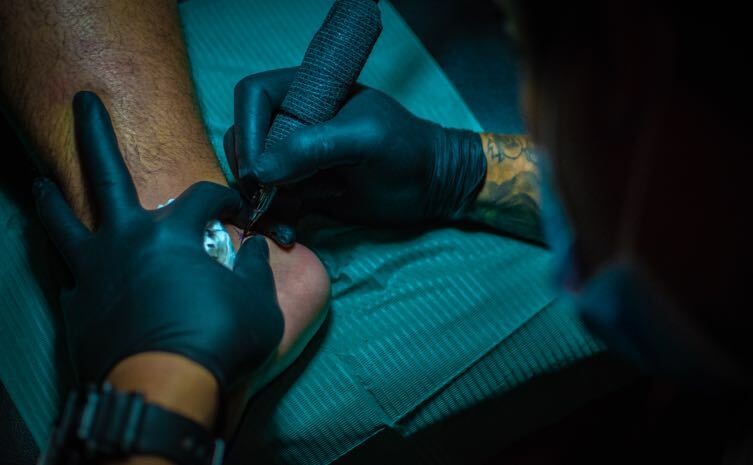 While photos might be the best souvenirs from any trip, immortalizing the experience by getting a tattoo is a bolder way to make memories permanent. 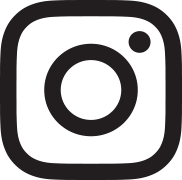 Owned by members of Kamikazee, this famed tattoo parlor also has a branch in Maginhawa, Quezon City, and houses many talented artists with various styles. What’s a trip to the Surfing Capital of the North without riding the waves? La Union’s challenging waves amidst laid-back vibes is what makes it such a buzzy destination for local and foreign surfers alike. Scared to go on a ride? The friendly locals gotchu—they line the beach with surfboard rentals and beginner-targeted tutorials to have you hanging loose in no time! Contrary to the belief that grapes can only be grown in cold weather, La Union’s warm and sunny climate has actually proven perfect for planting grapes. 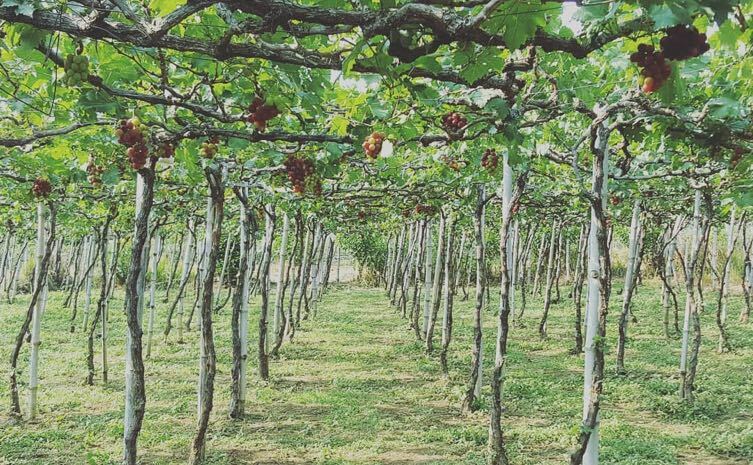 Believed to be one of the first vineyards in the country, Lomboy Farms is owned by the ”Philippine King of Grapes” Avelino Lomboy, and gives visitors the opportunity to pick their bundles of these refreshing fruits. Just because there are lean seasons for surfing, doesn’t mean you’ll run out of things to do in La Union. 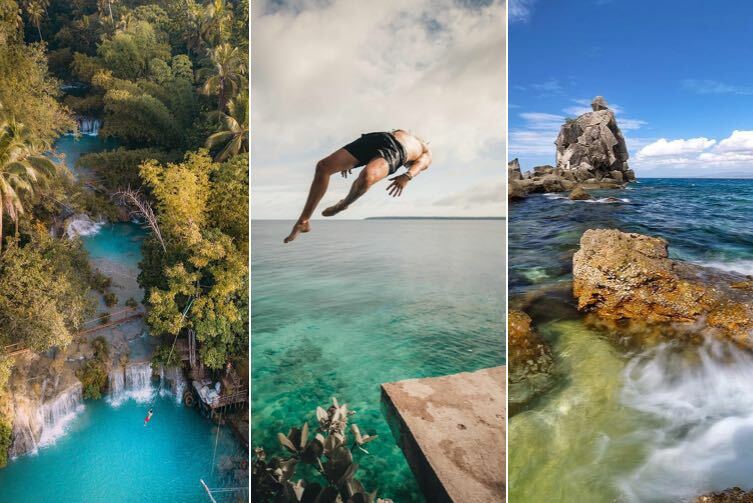 When you need a break from the waves and all the delicious eats, diving down under gives you a beautiful change of scenery and a surreal experience all rolled into one. 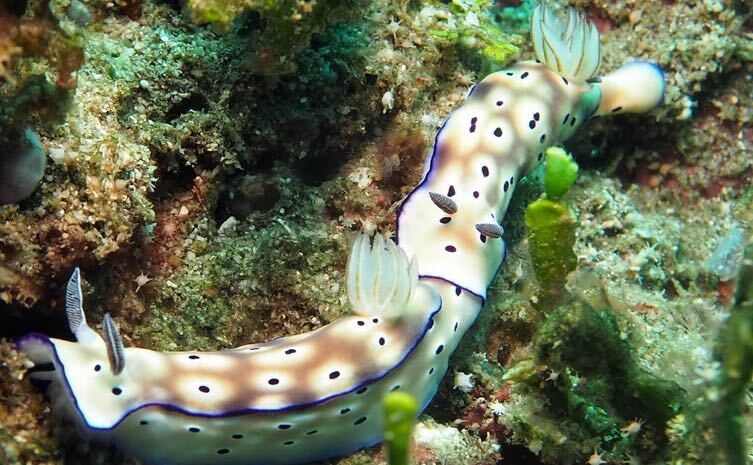 Explore Fagg Reef’s WW2 military tanks, Trinity Walls’s caves and cracks, or even Lingsat Marine Sanctuary’s impressive biodiversity. Perhaps just as buzzy as the surf scene, if not more, is the province’s ever-growing list of dining hubs. 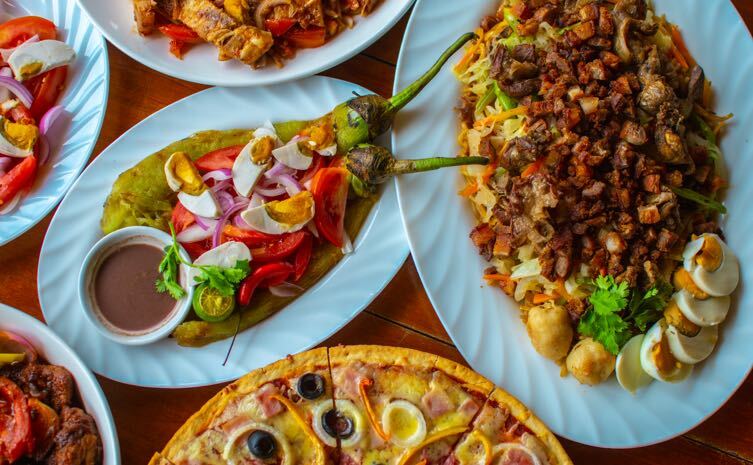 From various hotspots for breakfast, lunch, dinner, snacks, or drinks, to a wide selection of specialties and cuisines like Mexican, Greek, Filipino, seafood, and smoothie bowls, among others, a food trip in La Union is well worth the road trip, whatever the weather! 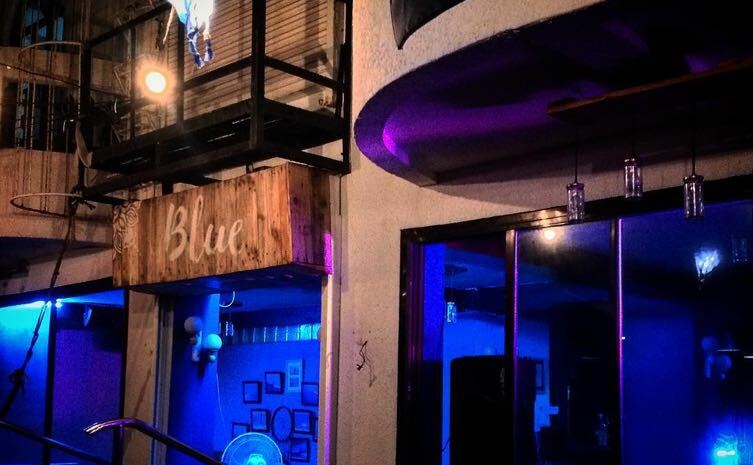 Fairly new to the scene is Blue Surfers Lounge. 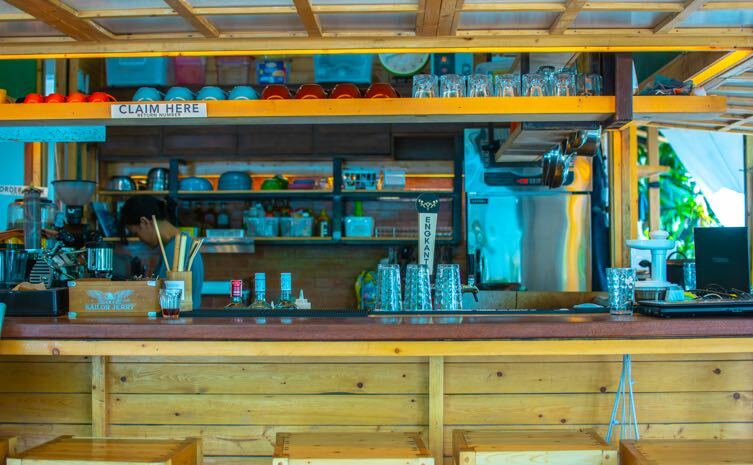 This chill out spot right by the beach serves all-day eats and treats to keep all your cravings at bay. 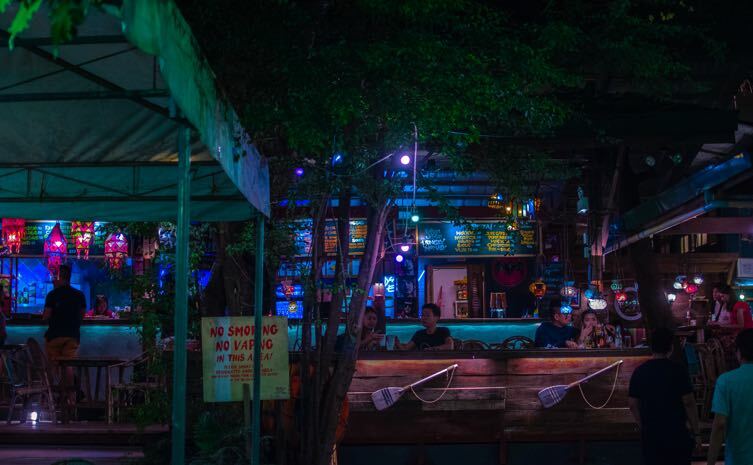 Laze around, make new friends, and enjoy great music and entertainment at this joint that brings Manila’s urban liveliness to this colorful surfer town. Within the same complex of the famous El Union Coffee lies this simple shack you might miss if you don't look hard enough. 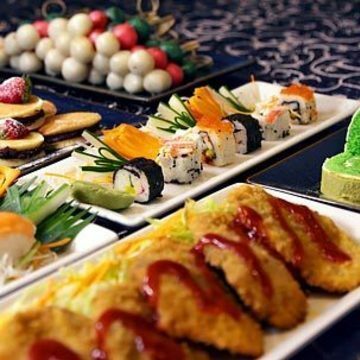 Bearing no flashy sign—or no sign at all, for that matter—is Great Gamble, whose scrumptious seafood dishes will surely convince you to go on a see food diet! 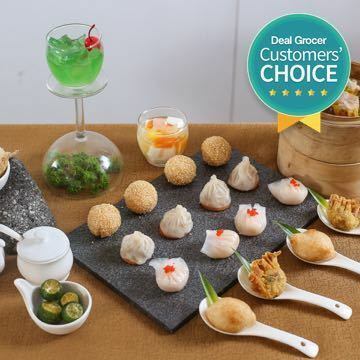 Trust us, you'll want to eat their crab rolls and scallop rolls all day, every day. 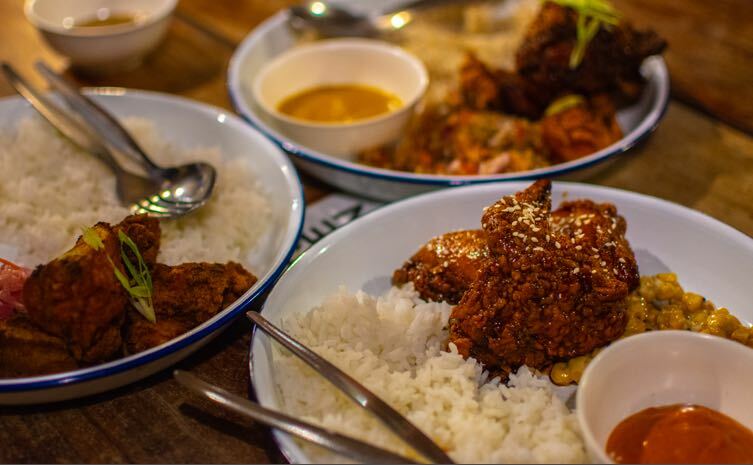 No La Union food trip is ever complete without Sabong’s double fried chicken that’s glazed in various sauces and served with a side, rice, and another dipping sauce. 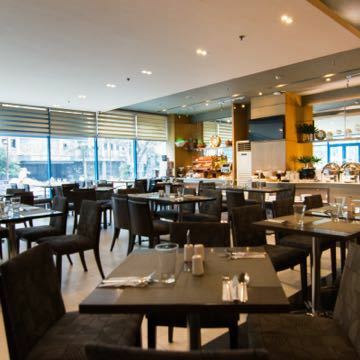 Its generous servings amidst its simple dining area definitely hits the spot for surfers and non-surfers alike. 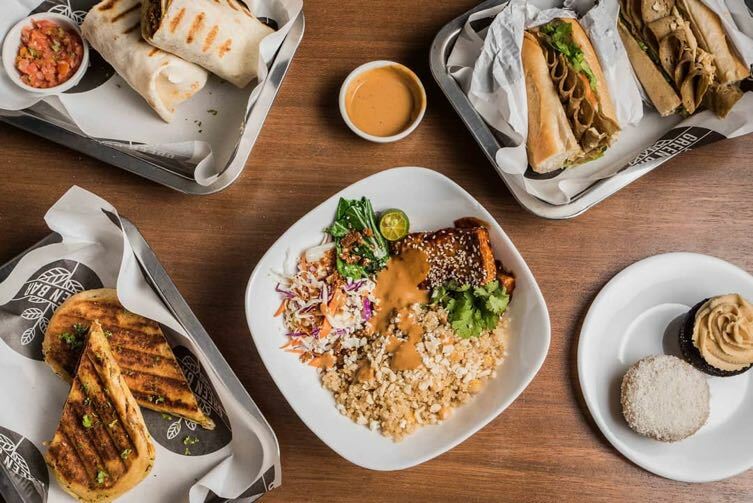 We recommend their bestselling Honey Bagoong Chicken—it’s the perfect blend of salty and sweet for those who can’t decide on what to eat. Further down the main road lies Clean Beach Coffee, a beachside café that’s home to the 1st PH Brewers Cup Champion. 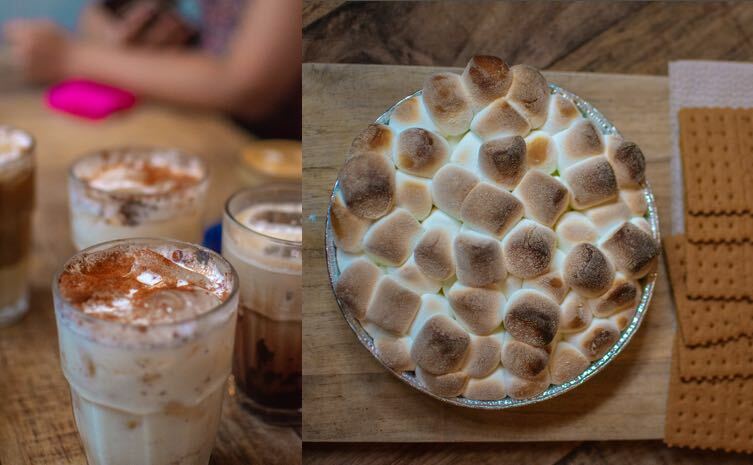 This coffee shop doesn’t just focus on a Pinterest-like aesthetic, it also advocates keeping La Union waste-free—they even offer metal and bamboo straws for customers’ use. 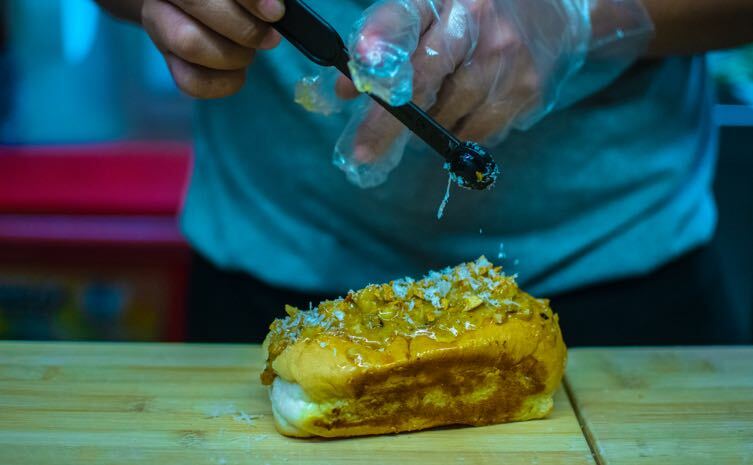 If you’re in for a Pinoy street food crawl, then Night Market SFC is the place to be! 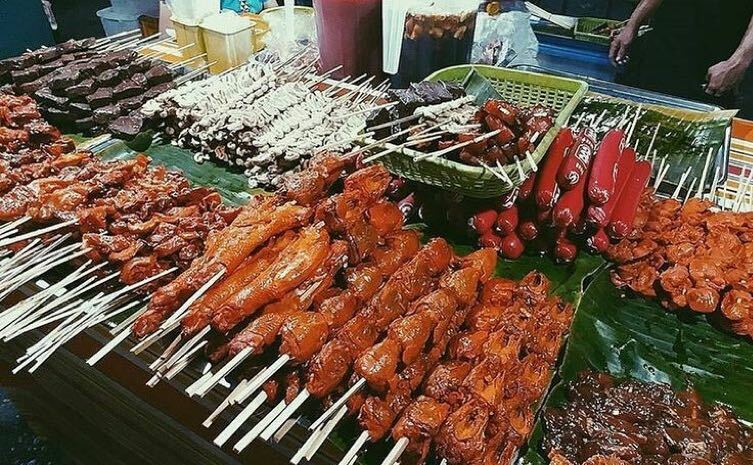 With various offerings like barbecue, fishballs, isaw, coconut shakes, fresh lemonade, and even Ilocano meals like dinengdeng and dinakdakan, you're guaranteed to eat like a king even while on a budget. 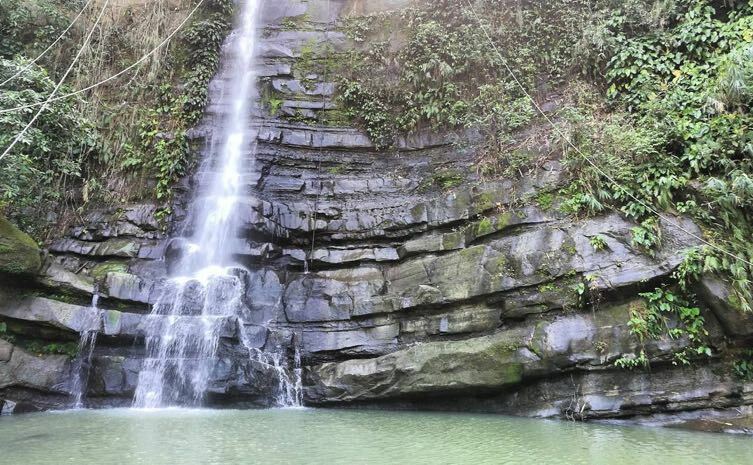 Arguably lesser known than Tangadan Falls is the equally, if not more beautiful Tuddingan Falls in Naguilian. The walk up the falls offers a relaxing and breathtaking respite: imagine lush green scenery lining the trail and the sound of chirping birds mingling with the rush of water. When you’re greeted by this natural wonder, you'll realize that sometimes there's nothing as peaceful and calming as a simple nature retreat. If you’re an avid surfer, October to March would be the best time to catch the biggest waves. 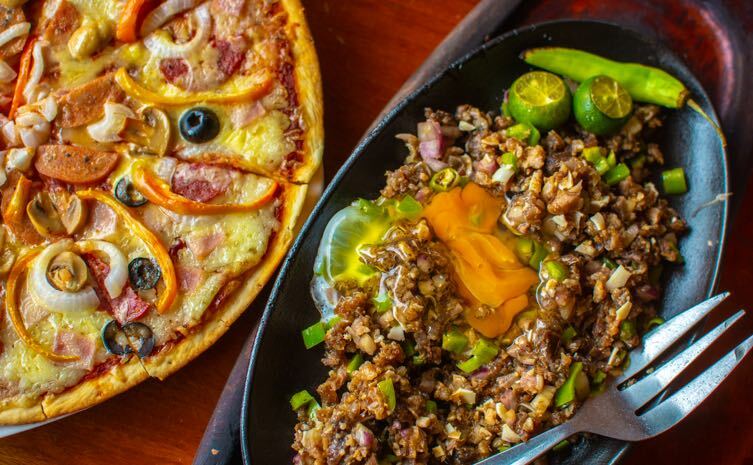 While it can still be quite rainy during October through November, any time is a great time to visit La Union, especially if the number one thing on your agenda is an epic food trip. 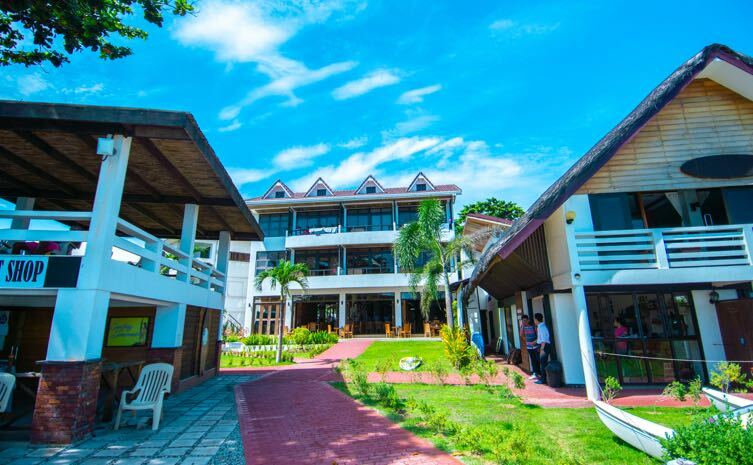 La Union might be one of the most eco-friendly provinces in the country. Almost everything in every eatery is reusable (straws included! ), and they encourage their diners to clean up after themselves, and segregate their garbage. Be mindful of your trash or use reusable containers, utensils, and bottles as much as possible. While most known joints are along the stretch of San Juan, it pays to do your research. 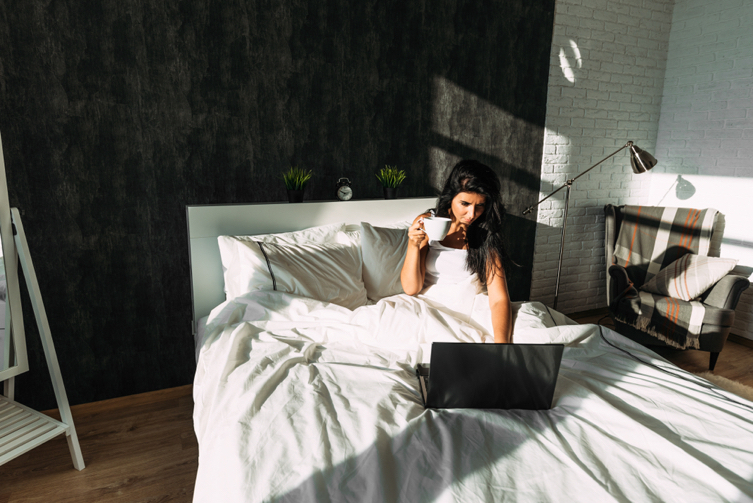 Look up directions or even ask the friendly locals which dining hotspot can satisfy your craving as some of them are hidden behind others or tucked into small side streets. Probably the best way to get to know San Juan is by walking. All the foodie spots are right next to each other or within the same complex, and you never know what you might discover along the way! Befriend the locals. They might just be the warmest set of people you’d meet—and who knows what insider tips and tricks you might learn? La Union’s laid-back vibe is what people love most about it. It has a very ”come as your are” feel to it, so anything goes! For lounging on the beach or food tripping, cool and comfortable clothes would be perfect. If you’re looking to do a little bit of trekking, make sure you wear the right kind of shoes and that you apply insect repellant. And remember, no matter what you do, sunscreen is always a must! You’re in for an approximately 5-6 hour drive. Start off by taking NLEX and go through SCTEX. Make your way to TPLEX and take the Carmen Toll Plaza exit in Pangasinan. Then, turn left on the Carmen-Poblacion Rosales Road, make a right on Teofilo Sison Bridge, and you’ll find yourself on the MacArthur National Highway that takes you through Pangasinan and La Union. Travel time on a Partas, Viron or Dominion will take around 5-7 hours, depending on the traffic and your origin. 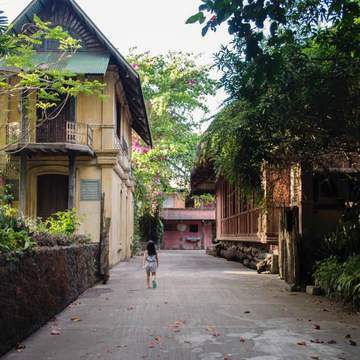 Once in San Fernando, take a 25-minute jeepney or tricycle ride to San Juan. Partas also offers bus rides straight to San Juan from Pasay or Cubao, and the trip takes approximately 5-7 hours. Another option is to take a bus going to Vigan or Laoag, and just tell the driver and conductor that you’re headed to Urbiztondo Beach in San Juan. 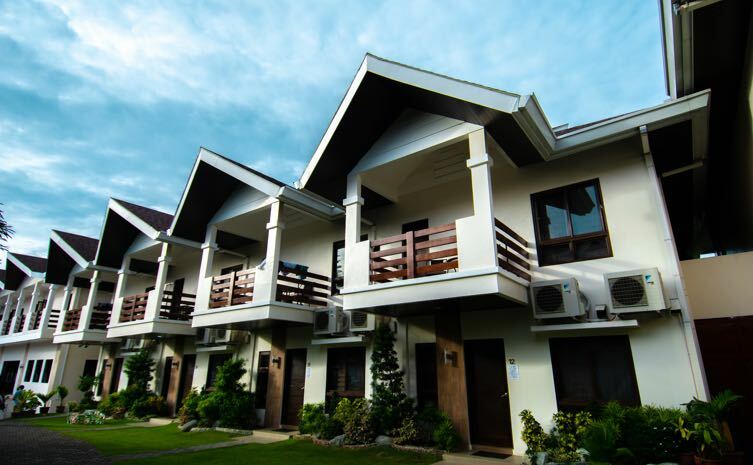 If you’re looking to stay in Bauang, the homey Lafaayatte Luxury Suites is just the place for you. 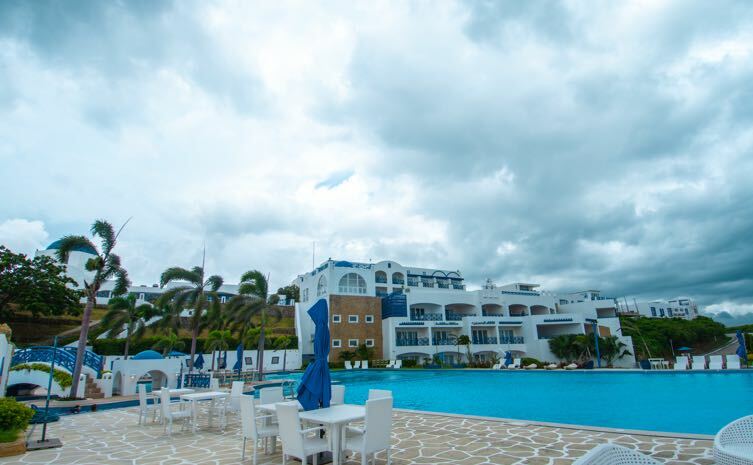 It has its own beachfront, pool, dining areas, and function room—perfect for big group outings and reunions! 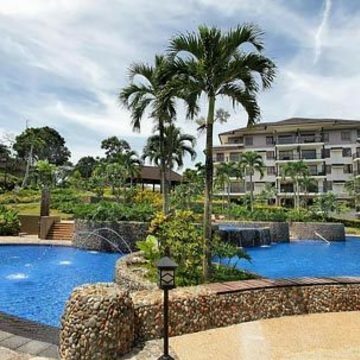 Villas Buenavista in Ili Sur is your castle-like respite that’s situated away from the crowds. 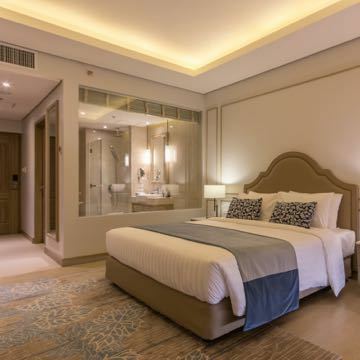 Fit for a king, their spacious rooms and European exteriors will make you feel like you’ve been whisked into another country and era. San Fernando has some luxurious offerings, too. 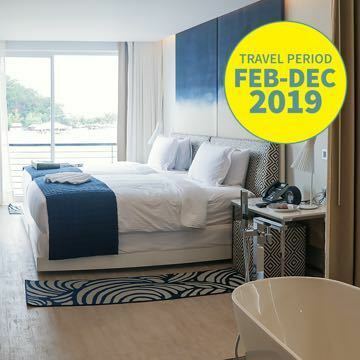 The resort-like Aureo lets you wake up to a sprawling garden view, a tranquil sea view, or a relaxing pool view—and its private and secluded location gives you the break you truly deserve. 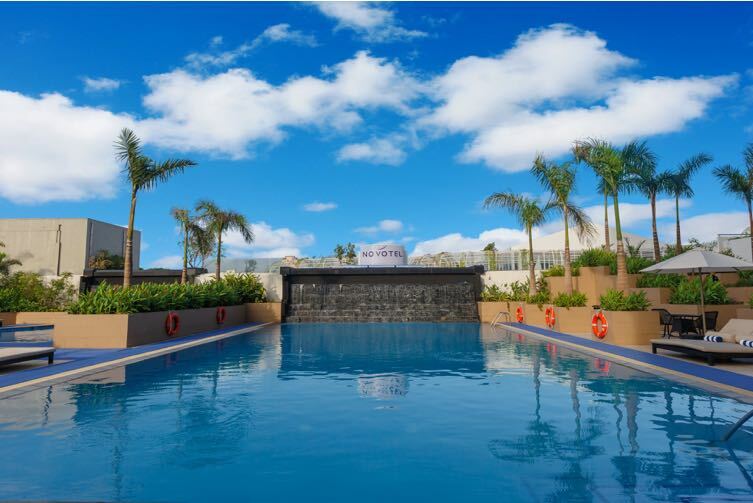 Alternatively, the Santorini-inspired Thunderbird Resort is a huge resort complex that has a casino, golf course, pools, and other facilities for the whole family to enjoy. 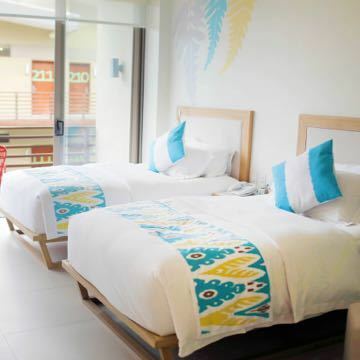 In the buzzy town of San Juan, you can find Vessel Hostel, a minimalist accommodation made from container vans that serves as the ideal resting place for no-fuss travelers. 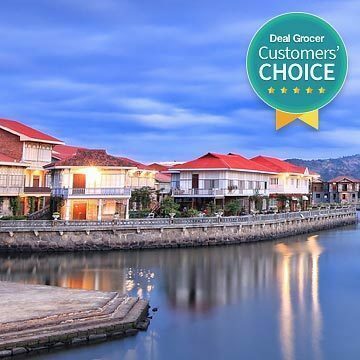 For a beachfront stay, the 4-star Awesome Hotel makes for a great choice, too, as they focus on personalized and heartfelt service. Another beachfront option is the family-friendly San Juan Surf. 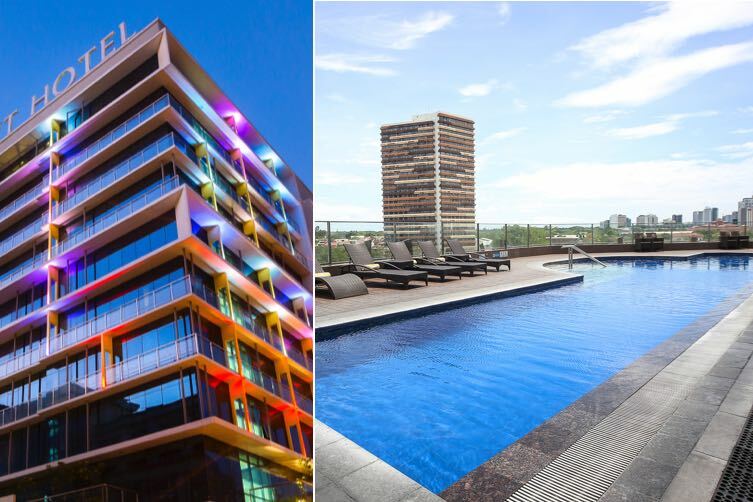 With its own surf shop, an al fresco restaurant, and its central location, it puts you right in the middle of premium comfort and excitement.